Finding some music album which has everything from rock to swing, metal to opera, and different languages altogether? If you can’t imagine how those genres would sound when mixed together, then listen to The Butcher’s Ballroom – and simply shock yourself. Played by the Diablo Swing Orchestra, these 13 tracks would surely make you want to boogie all night, while at the same time let your big brother bang his head and start a mosh pit. With rich melodies, a powerful opera voice and eclectic sounds, The Butcher’s Ballroom is sure to make ballroom nights different – don’t say we didn’t warn you. Spanning a rich history that dates back to 1501 in Sweden, the Diablo Swing Orchestra plays such music that have overwhelmed listeners around the country. Their songs gained reputation, and they then had a solid crowd which followed them around. However, as the Church began to see how influential they became, they began trying to bring down the orchestra, and they were even accused as Satan’s followers. Because the 16th century saw the wealth of the Church, and there was a growing disappointment and discontent among the people, they saw the orchestra as a nice way to see new things, and to help them live on with their lives. But, of course, the Church was displeased. The church witnessed how their influence over the people decreased and began to depict the orchestra as treacherous, saying their intentions were anything but righteous. The orchestras extensive use of the prohibited tritonus interval in their music as well as their excessive lifestyles was facts that were not looked mildly upon. During church services priests slandered the music saying it was an insult to Christ himself. However, when this attempt to reduce the orchestras popularity failed, the church began to use more desperate measures in order to regain its former power. The Devils orchestra became the slogan they used and the members were accused of being everything from devil worshippers to the spawn of Satan. This catchphrase eventually caught on and became the popular name of the orchestra. When even these efforts shown futile the church ultimately framed the orchestra members for a murder and a ruthless manhunt began. The following two years the orchestra lead the lives of outlaws and were forced to perform in barns and outhouses, where only a strictly limited number of people were allowed to attend. Luckily generous people provided them with food and somewhere to sleep. In order to capture the orchestra the church issued a reward to the person that could provide such information that lead to the capture of the orchestra. The sum was so large that the orchestra, tired and weary of living as fugitives, realised that it all had come to and end. They knew that sooner or later someone would reveal their whereabouts and the decided to go down in style. But before doing so they all signed a pact saying that their descendants were given the task of reuniting the orchestra in 500 years and continue their work of spreading thought-provoking music. Six envelopes were therefore sealed and given to trustees of the orchestra to pass on to family members. They announced their final concert publicly as a grandeur finale. Thousands of people showed up and even though it was almost no one who could actually hear the music, the massive sing-along of the crowd granted the performance to be the most talked about in history. Thanks to the huge amount of people the orchestra was allowed to play until their last song when armed guards finally managed to storm the stage and arrest the musicians. They were sent prison and later sentenced to death by hanging. It seems like it was the end of the Diablo Swing Orchestra because all of the original music of the orchestra were burned by the Church in 1503. But in the city of Stockholm in 2003, two of the their descendants met in a music shop. They both got a weird letter instructing how to reunite the orchestra, from a so-called ancient relative. In 3 months’ time, they finally succeeded in finding the remaining successors. Annlouice Loegdlund was chosen to sing for the band. Her powerful yet opera-like and seductive voice gave a nice touch to the modern music of the band. Pontus Mantefors gives the songs a technological touch with FX, while Daniel Hakansson serves as the main composer, voicalist and guitarist. Andy Johansson’s bass licks adds oomph to the melodies, and Andreas Halvardsoon’s keeps everything in beat with his drumsticks. 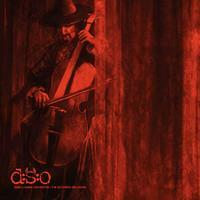 Johannes Bergion, in addition, never fails to add a magical, classical touch – thanks to his cello. The Diablo Swing Orchestra is probably one of the most controversial and history-rich bands I have ever listened to. I personally do not like noisy music, but they managed to pull it off in a very good way. And with such album like the Butcher’s Ballroom, dancing boogie to the tune of Balrog Boogie, waltzing to Pink Noise Waltz, marching to Wedding March for a Bullet, or swaying slowly to D’angelo would never be the same as before. Romance and heartbreak; rock and classic; opera and metal; fast and slow – The Butcher’s Ballroom is one album that is nice to be given to your aunt who loves classic and opera music, to your cousin who loves rock and metal music, or to keep to yourself when you need a mixture of everything to listen to. This work is licensed under a Creative Commons Attribution-Noncommercial-No Derivative Works 3.0 Unported License and is available as a free download on Jamendo. Louis Lingg and the Bombs: Long live the anarchist revolutionairies! I didn't think this album is going to be that fun! it just get's you in a better mood right away! excellent!